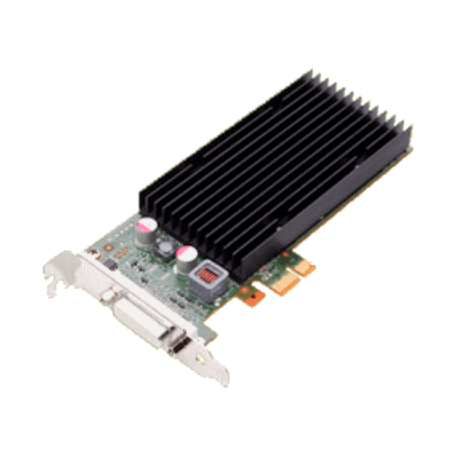 Nvidia NVS 300 PCIe x1 videokaart kopen? | That's IT! 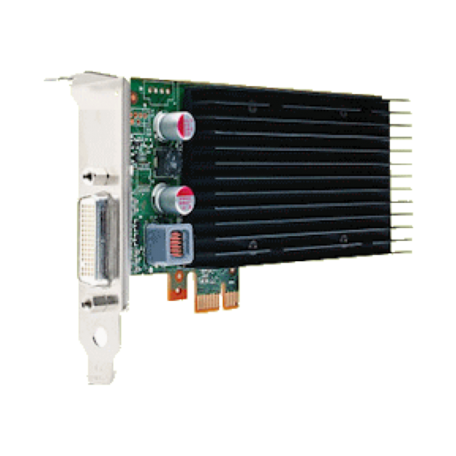 Originele professionele Nvidia Quadro NVS300 PCI-express Dual-Head graphics board met PCI-Express X1 interface, 512MB DDR3 geheugen en 16 CUDA cores. The NVIDIA® NVS™ 300 high resolution, multi-display business graphics solution, designed for small and standard form factor systems, delivers reliable hardware and software for a stable business environment. Tested on leading business applications, NVS 300 is capable of driving two VGA, single link DVI, DisplayPort or HDMI displays. With NVIDIA Mosaic™ and NVIDIA nView® technologies built in, you can span and efficiently manage your entire Windows desktop across multiple displays. Drives ultra high resolution panels using integrated display technologies, producing phenomenal photorealistic image quality from a range of display connectors. Supports two simultaneous displays, including single-link DVI, DisplayPort, VGA or HDMI. The NVIDIA nView Advanced Desktop Software delivers maximum flexibility for single-large display or multi-display options, providing unprecedented end-user control of the desktop experience for increased productivity. NVIDIA Mosaic technology enables seamless taskbar spanning as well as transparent scaling of any application across up to 8 displays. Works over multiple displays or one ultra-high resolution display using a single or multiple NVS graphics cards. Delivers high throughput to simultaneously play stunning HD video on each connected display. CUDA’s parallel computing architecture enables dramatic increases in computing performance by harnessing the power of the GPU (graphics processing unit). NVS 300 contains 16 CUDA™ parallel computing cores compatible with all CUDA accelerated applications. NVIDIA® NVS™ graphics products deliver the industry’s best image quality, sharpness and pixel tracking for both analog and digital LCDs, DLPs and plasma displays with resolutions up to 2560x1600. Simplifies IT administration and deployment throughout an enterprise. Regardless of desktop system (standard tower PC. workstation, small form factor system) or the display type (LCD, DLP, plasma) NVS 300 has the ability to fit into any existing installations without being disruptive. Built with a passive heatsink for higher reliability and a quieter desktop environment. Provides a means to connect into the most exhaustive range of display technologies in a low profile graphics card via low cost DMS59 cable adaptors. Support ultra-high-resolution panels (up to 2560 x 1600 at 30bpp) via DMS59-DisplayPort adaptors – enabling maximum range, resolution, refresh rate, and color depth designed to support the latest display technologies. Enables transport of video and audio to HDTV’s and other HDMI capable devices (via HDMI adaptor). NVIDIA high definition video technology is the combination of high-definition video processors and software that delivers unprecedented picture clarity, smooth video, accurate color, and precise image scaling for SD and HD video content. Features include, high-quality scaling, spatial temporal de-interlacing, inverse telecine and high quality HD video playback — with low CPU utilization and power consumption. The NVIDIA® nView® Advanced Desktop Software delivers maximum flexibility for single-large display or multi-display options, providing unprecedented end-user control of the desktop experience for increased productivity. NVIDIA® Mosaic™ Technology enables seamless taskbar spanning as well as transparent scaling of any application across up to 8 displays. Works over multiple displays or one ultra-high resolution display using a single or multiple NVS graphics cards1. Part of the NVIDIA Forceware unified software environment (USE). The NVIDIA UDA guarantees forward and backward compatibility with software drivers. Simplifies upgrading to a new NVIDIA product because the latest driver supports all current NVIDIA products. 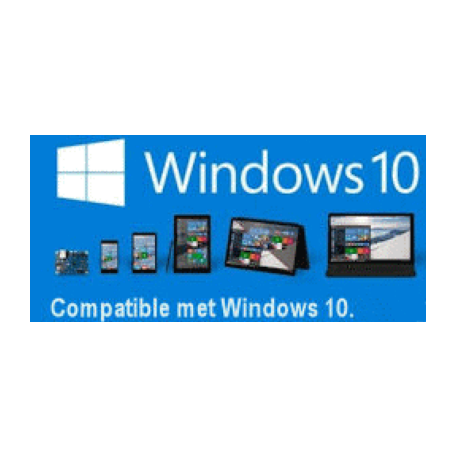 Windows 7 operating system marks a dramatic improvement in the way the OS takes advantage of the graphics processing unit (GPU) to provide a more compelling user experience. By taking advantage of the GPU for both graphics and computing, Windows 7 not only makes today’s PCs more visual and more interactive but also ensure that they have the speed and responsiveness customers want. Enables EnergyStar compliance with low maximum and low idle power levels. Enables a data transfer rate up to 5 GT/sec per lane for an aggregate bandwidth of 16 GB/sec bi-directional (8 GB/sec in each direction).